Too many words don't match and many lines of dialog missing. "no" instead of "not" and on and on. Doesn't anyone check before posting. 107 min [ Be there... or beheaded! ] 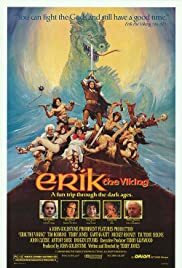 - Erik the Viking gathers warriors from his village and sets out on a dangerous journey to Valhalla, to ask the gods to end the Age of Ragnorok and allow his people to see sunlight again. A Pythonesque satire of Viking life.